The rabbit runs so fast from garden to garden he often leaves behind a lot of chocolates. All children love to collect and store chocolates in a pretty basket. 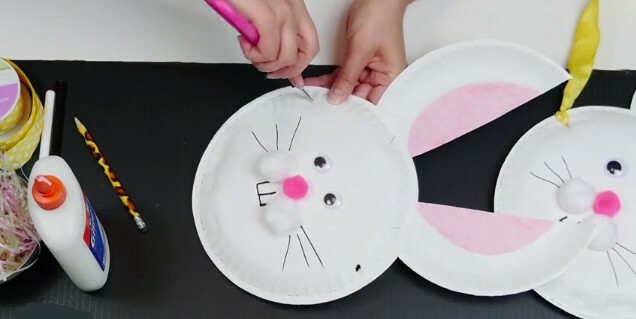 Here is a video which shows you how to make a basket in the shape of Easter Bunny in record time using what you find at home. Level of difficulty: easy from 4 years with the help of mom to manipulate the stapler from 7 years alone. Start with the big ears of the rabbit. Take a paper plate and cut a strip about 4 cm in the middle. The two rounded ends used for the ears. Then, on the curved face, coloring the entire flat part with the light pink felt. After, take the second paper plate and cut the third part. Keep most of which will serve as background to the basket. Then make the rabbit head. Pull the third curved face plate toward you, apply glue on the little pink pompom and well stick it in the middle, reproduce the operation with the two white cotton balls and glue them to the right and left pink pompom. Then glue the small craft eyes above each cotton ball. Use the black marker, draw large rabbit teeth in the cotton balls and 3 lines on each side to make the whiskers. Now for the assembly of the rabbit basket. 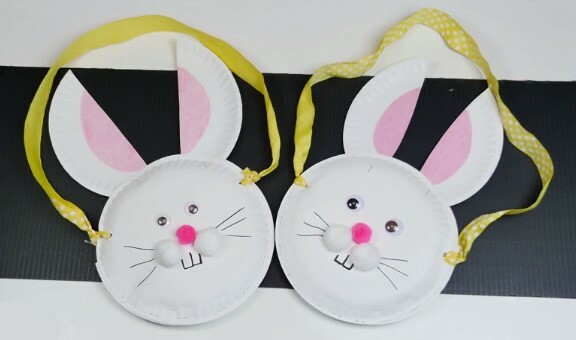 Take the plate representing the rabbit's head and assemble it with the second plate (hollow faces must be facing each other). 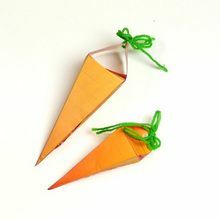 Staple together gently to make the Easter basket. Then position the two ears and attach them to the cart with the stapler. Drill 2 holes or use a punch at the ends of the head at eye level with the tip of the scissors. Thread the ribbon through the hole and tie a knot. 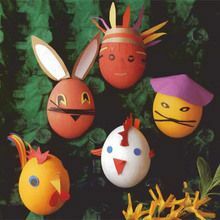 Finally add a handful of artificial straw to deposit the chocolates you find for your funny Easterrabbit shaped basket. And your finished. Your child have created their own Easter Bunny candy holder! 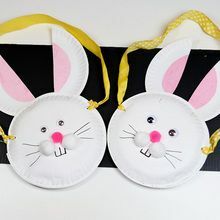 Children will be the talk of the event with their stylish Easter Bunny Candy holder.